Photo by The Savvy Shooter. It’s been a busy few weeks for us here at The Style Duo! And this past weekend was super busy and a ton of fun! That’s because we spent most our time at Lincoln Center for Mercedes Benz Fashion Week. 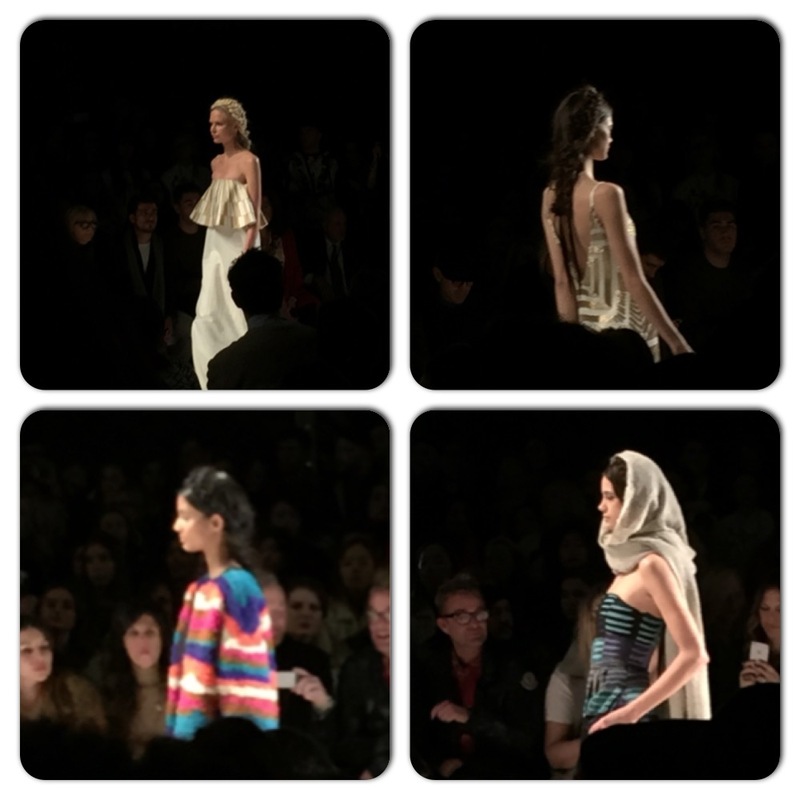 Icy cold temps, and even some snow could not stop us from attending exciting shows like Mark & Estel, Mara Hoffman, and Carmen Marc Valvo. It was worth every shiver and chill, because as soon as we stepped foot inside the theater and saw the HOT Fall 2015 fashions, we were blown away. 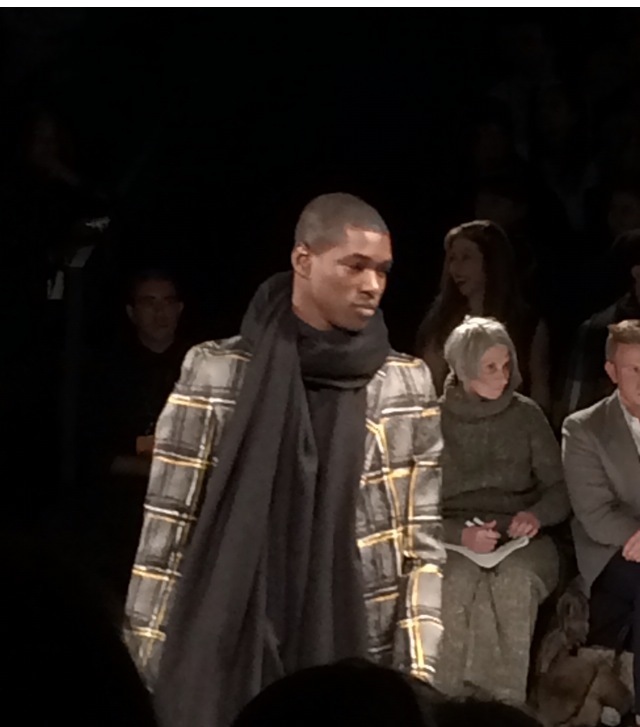 Plaids, reds, and lots of fur ruled the runway. 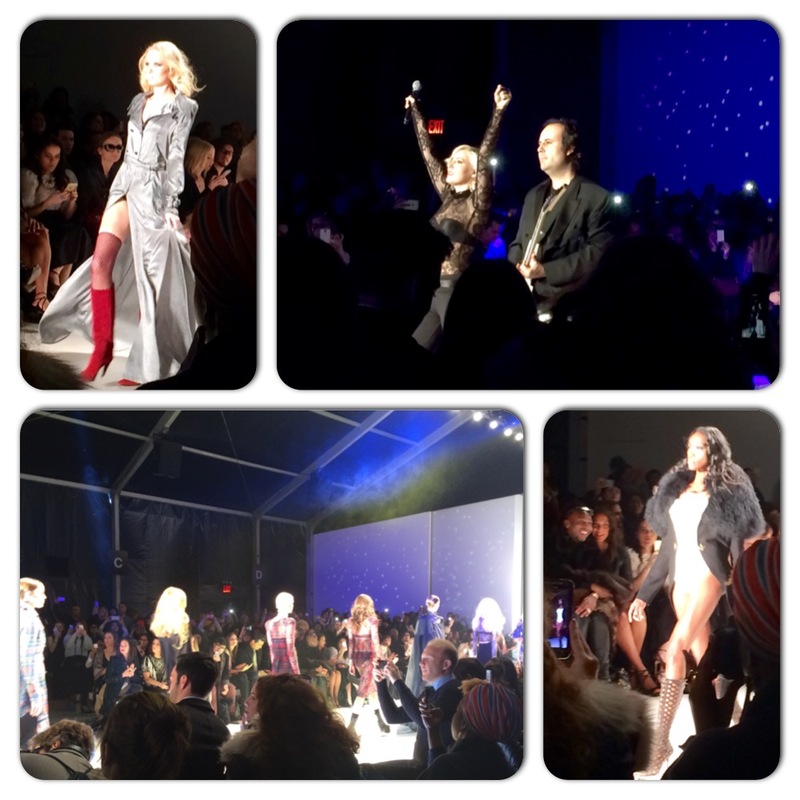 We loved the rock-n-roll vibe of the Mark & Estel show complete with a mini concert at the end by the designing duo. We were in awe of the beautiful and colorful creations on the Mara Hoffman models, and don’t even get us started on our absolute fave designer Carmen Marc Valvo’s show! 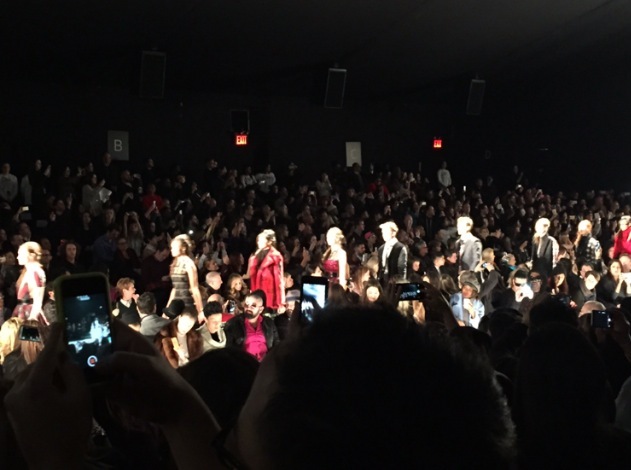 With stadium seating for all his fashionista fans, male and female models stunned in rich and vibrant Fall attire. But fabulous fashions aren’t only on the runways. They can be seen all over Lincoln Center. Designers, celebrities, stylists, models, editors, bloggers all come out in their Fashion Week best and it is so fun checking out all the amazing trends. Photographers snap away as you enter and exit. We even had our pic snapped a few times! It is all very exciting and even though the shows only last for a few minutes, it is an unforgettable experience. 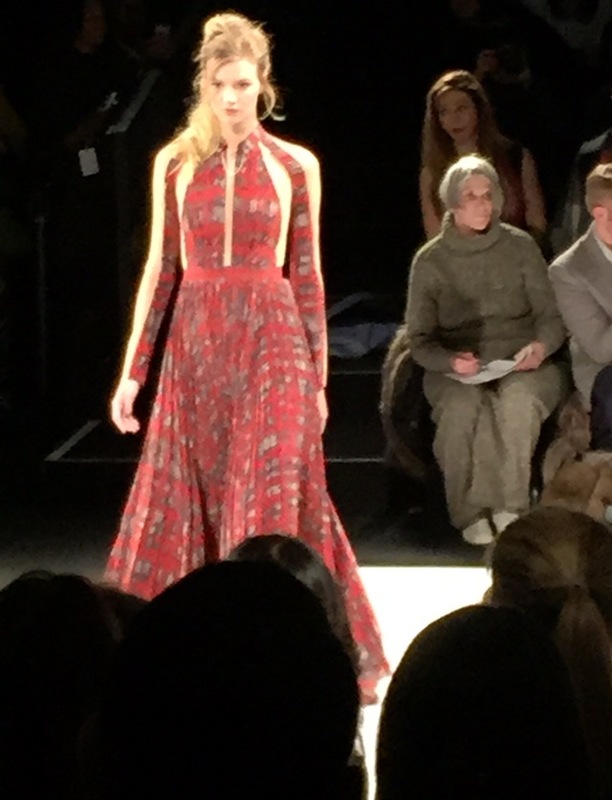 Red and plaid creations captivated us at Carmen Marc Valvo! Let’s hear it for the boys at Carmen Marc Valvo. Fun celeb spotting. 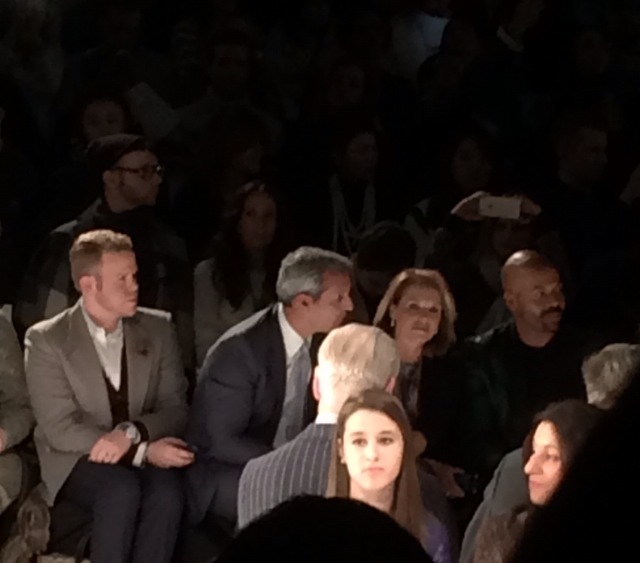 I spy with my little eye…Katie Couric at CMV. The beautiful Mara Hoffman Runway. Rock-n-roll runway at Mark & Estel. Love the final loop that ends the show! CMV show.